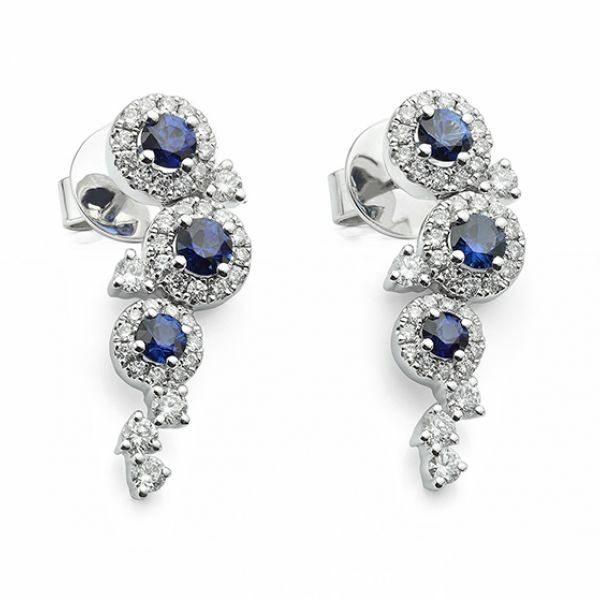 Dew diamond and blue sapphire drop earrings. Crafted with a halo arrangement of blue sapphires encircled by diamonds. Dazzling with a cascade of Diamonds and Blue Sapphires, the Dew earring design features a spectacular graduated halo design. Set with 0.61cts of Diamonds, each stone has been graded G Colour and SI1 Clarity prior to setting. 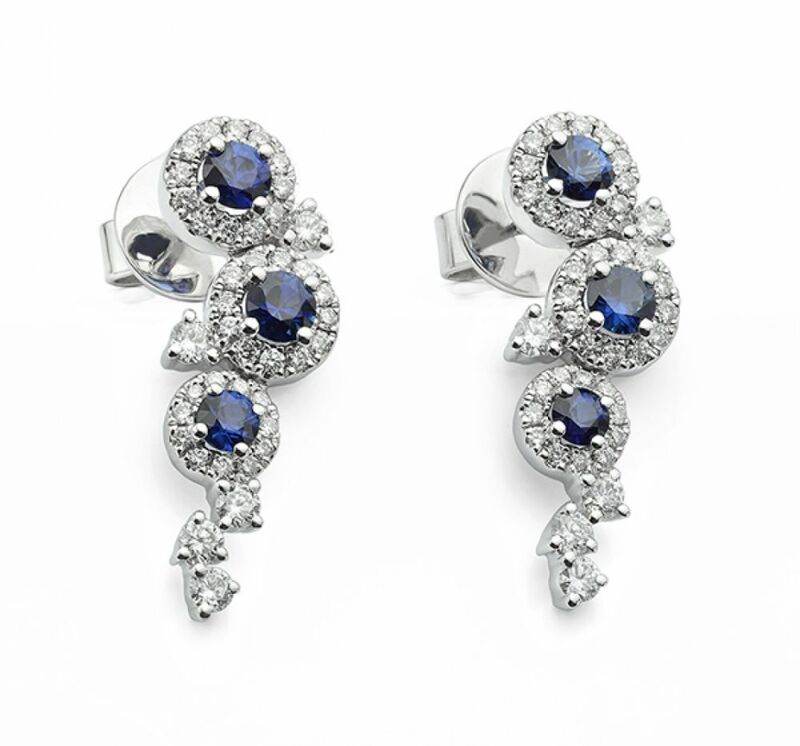 The additional 0.70cts of natural Sapphires contrast with an intense blue colour against dazzling white Diamonds. Perfect for evening wear and special occasions, each earring is secured with butterfly attachments in 18ct White Gold. In addition, we include a pair of LOX secure earring backs with your completed earrings, sent within luxurious packaging and our bespoke Serendipity Diamonds earring box.